I made a huge pot of vegetable beef soup on Saturday. I love making a one pot meal that lasts for several days, especially this time of year when it’s cold outside. 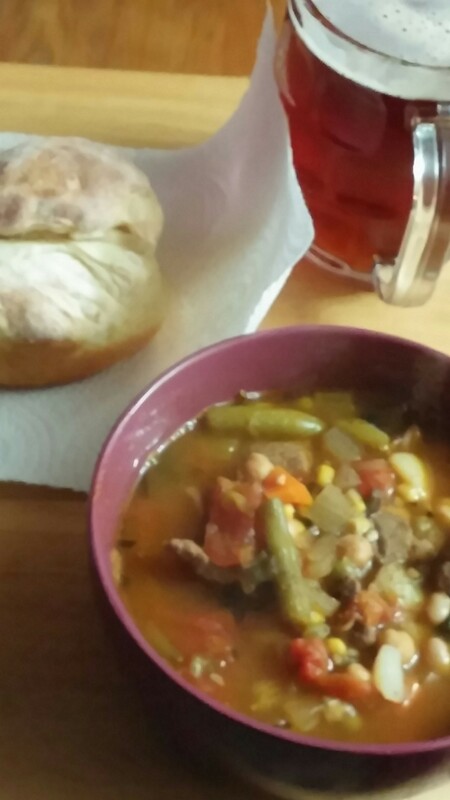 Some homemade biscuits on the side made the soup even better! I finally finished the soup off for lunch on Thursday.